Brand inexperience: a true Social Media Marketing goal? We’ve been talking a lot about brand experience these days. In an economy of attention more & more complicated, brands aim to focus again on consumers’ journey, starting from research, buying behavior & finally ending on the diverse usages / consumption of the product or service over time. A necessary long-time approach as in our liquid & “liquifying” economy, new usages or needs postpone the death of a product life cycle. Movie industry is good example: you go to the theater, you watch a DVD or VOD, you sell & buy goodies. Or you can even implement products’ placement (thanks Thien for sharing the link). A Disney experience has proved for a long time the multiplying possibilities of a single idea. Mobile phones are now social browers, and that’s also interesting: any OS update is a new opportunity to get new services or start again certain usages; things you could not imagine while you were in the conception phase. In a SWOT approach (strengths, weaknesses, oppportunities, threats), we most of time go too fast on opportunities, letting them dependent on brand assets, instead of focusing on the real context. Good consultants generally do a deep work in order to understand what the core competences are. But they obviously leave interns & juniors working on PESTEL (or environment) analysis. They normally keep too little time to go back to these insights. The problem is that if you remain too focused on brand experience, so to say on the product at the early stage, you destroy huge potentialities, prospectives, which can occur or just appear thanks to a new context. In our pervasive environment, we should therefore invest time in a new practice: brand inexperience. in which ecosystem the brand should be present but seems invisible? in which tribes can we find the brand that is used in very original ways, that were not anticipated by the “brand experience administrator”, so to say the brand value chain? Is Social Media changing the world or is the world generating Social Media? It’s like if marketers were missing a level: it’s not Twitter nor Facebook that are at stake, it’s more generally the way people lead their daily life, the way they talk to one another, the way they priorize things. At the end, we don’t really care Facebook nor Twitter (for instance, in South Korean, NO ONE cares). Focusing on 2 trending networks cannot be a good attitude: it lacks strategic implications. For instance, if I were Uniqlo, I would probably try to see which channels can be interesting, true. But I’d start with a simple objective: why do I communicate? Once I’ve found my reasons, what’s the value proposition? And only then I’m gonna ask which supports can propagate this value proposition. Supports and not channels: because for instance, supports can also be a limited edition, a flashcode, a media partnership. Focusing too much on Social Media is the same mistake than focusing too much on advertising or retail: all these practices are part of a same effort. It’s because the world’s changing than Social Media is changing the world. Citizens! According to l’Officiel de la Mode, It girls are dead: viva oppos-It girls! To go fast: new girls are feminine, not feminist, they’re mummies, not mamas. Is it a come-back to conservative styles? The new flavor for Nicolas Sarkozy female’s supporters? No. For Alexandre Schwab, it’s just that after a crisis and a depression, we need to go back to basics and to very down the Earth messages. Good news: in the era of Social Media, this quest of true meaning happens more and more online. Talent discovering, niche markets are the new hype. In Japan, there’s a fantastic trend around Beautiful Girls” : when stars seem to far away, we need to get some inspiration from the street. Easy, uh!? The thing is that only few brands really play with “true beauty”, the one that is invisible for eyes (lol). So to say, talent. RUNAWAY FAYE from The Town Pump on Vimeo. Thanks Samy T. for the tip. Return on Investment or Single on Investment in Social Media? When it comes to Social Media, there’s most of the time this dramatic notion of Return On Investment which immediately appears. you’ll probably get some vaccines! Then, only then, you start your journey. And can think of the Return. Sulake Ad Summer event: Social gaming at stake! It all started with Phill Guest, Executive Vice President Global Ad Sales at Sulake. So why people are attracted by social gaming? “social games aren’t really social, they should really be called viral games”. This is a wrong statement. The modes of play change as we grow up.
. Example in Habbo: a movie theatre made in Brazil Habbo, where people just…virtually sit down. But because your friends do it too, you are happy to take part to a non very active place! admin. On Facebook games, you normally play less than 5 minutes. 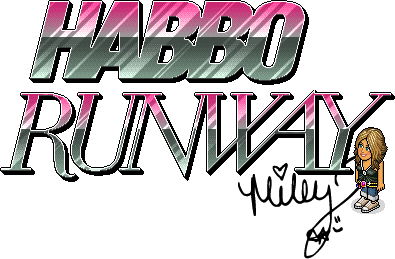 On Habbo, you spend 45 minutes. On Habbo, continuous user base grown for 10 years. On Farmville, 14% drop in users in May. Long-term retention? If you try a game, you need 2 days to get it properly. Social games have solved the problem, on Facebook. no install, instant access, no registration (ported clients from Shockwave to Flash). Shockwave: complicated because too many crash. Teenage computer nerd has ceased to exist (not sure but…). Flash 9: faster, easier. So teenagers don’t have to wait. The results are simple: 5% improvement on new user conversion & 7% improvement in month-over-month retention of users. No Signup: Facebook connect, google account, twitter account support aka “one click registration”. – fashion show, and main issue: what do teenagers like to wear? – a big event, with celebrities. Miley Cyrrus: to make the final decision. so why people spend money on digital assets? if you’re going to cinema, at the end of the day you get memories, maybe torn tickets and maybe a good experience. And that’s all. A virtual good is like a commodity that you keep in your room and that you keep on remembering. So if you’re happy to do it for cinema, why not with virtual good.